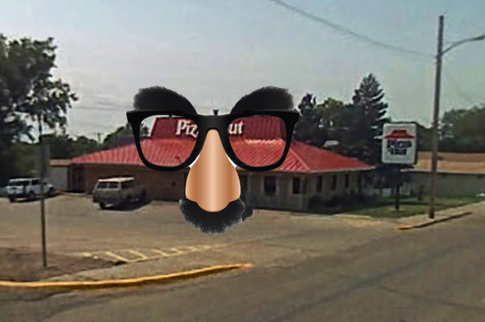 It only makes sense for an UTBAPH to become another pizza place. Sure, a well-known pizza chain with worldwide brand recognition and franchise backing situated at the exact same location selling the exact same product failed just months (sometimes days) earlier, but I would attribute all of that to "bad luck" and "lack of innovation in finding more places to stuff cheese into pizza." "Maybe we can fool people into thinking that we are the same well-known pizza restaurant that they, as a community, had already shunned into financial failure," says one truly delusional prospective small business owner to himself, as he (if he has any foresight whatsoever) downloads the correct forms to file for Chapter 11 bankruptcy and saves them in a folder on his desktop called "Business Plans for the Upcoming Year." 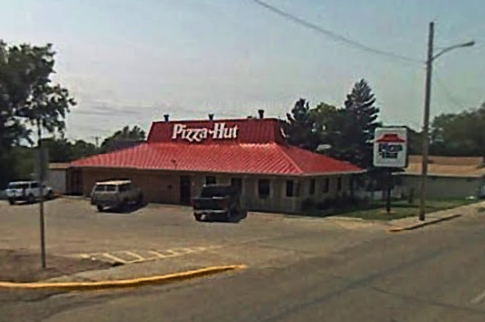 "Maybe if we keep the word 'Pizza' and just cover up the word 'Hut' with a picture of a planet, we can narrowly escape being sued by our predecessor, thereby ensuring that our failure comes directly from a complete lack of sales, and not litigation." In 2014, that is considered "success." If you have followed this so far, and nodded your head along with those ideas, panting and slobbering all the while, you might be an overheating dog, in need of some water. Find your owner and remedy that, and, upon doing so, return to browsing funny blogs on the iPad while pretending to nap. We all know what you dogs are up to. But for the rest of us, who are well aware of the fallacies of the aforementioned plan, I would like to show you the full execution of such a plan, located in Mobridge, South Dakota. 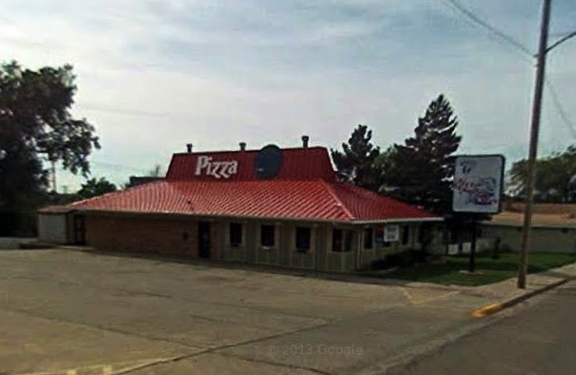 I can't imagine the surprise of the good people of Mobridge when they drove past the old Pizza Hut and found, in its place, a COMPLETELY DIFFERENT restaurant bearing only SLIGHT RESEMBLANCE to some other DISTANT MEMORY of a pizza chain that had just closed days earlier. It is hard to see if your eyeballs fell out in an unfortunate "sneezing while getting LASIK" incident, but for the rest of us, I think it is pretty clear what is going on here. I did some digging and came across the alternate set of concepts for the Pizza Planet re-branding, in case you are curious. Thanks to our good friend Bryan for sending this one in.